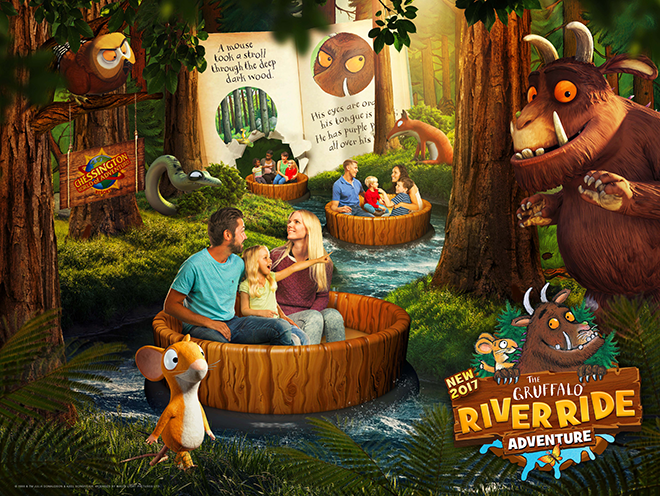 The Gruffalo River Ride Adventure – a world first – splashes into the Wild Woods at Chessington World of Adventures Resort on Saturday 18th March 2017. Kids and parents alike can join Mouse on a picturesque riverboat journey through the deep dark wood, and float down the lazy river, the story of The Gruffalo will magically unfold in front of their eyes with exciting twists and turns along the way. 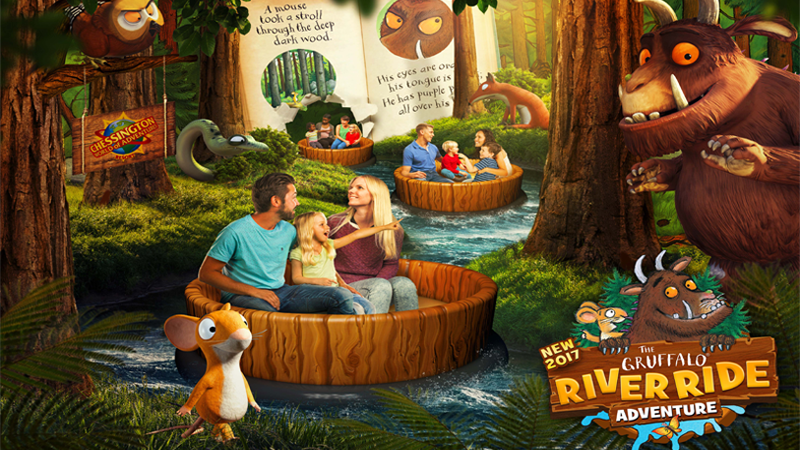 The Gruffalo River Ride Adventure will be accompanied by many other Gruffalo offerings across the Resort, including four brand new Gruffalo themed hotel rooms in the Chessington Safari Hotel. Plus, the brand new Gruffalo Arena, which hosts a range of Gruffalo themed activities, including photo opportunities, character meet and greets and screening of The Gruffalo animated film. If you get peckish, head over to The Gruffalo Bites and and choose from a selection of terribly scrumptious treats to refuel you for your wild adventure. There might even be a slice of Gruffalo crumble!